There’s hardly another narrative form that represents 21st century storytelling like comics. Art Lords has its share of artists creating your favorite comic characters. The best artists take new takes on our favorite characters, here are some of our favorite renditions. We always see Batman running around and leaping off buildings with a youthful confidence. Rarely do we see a grizzled, aged Batman, struggling to maintain the fight. Chema’s piece shows us this image, his age more than just years, but the constant toil of adrenaline and an endless war on crime. Batman: Zero Year was a fantastic reintroduction to Gotham’s dark knight, set in a powerless Gotham as people try to make do. This rendition by Vargas reminds us of the newer Tomb Raider games, and shows us a Batman working with the lights out. Edgy Scrawl’s Superman shows Kal-El hovering above the earth, in a pose reminiscent of the David. Kal-El/Jesus comparisons have existed since the character was created, and it is present in this piece as well. Throw in an undercut a la Brad Pitt in Fury, and you’ve got a killer piece. Read a story about this piece here. This is a reference to a moment in recent continuity where The Dollmaker cuts Joker’s face off in revenge. The hairless cat is a wonderful addition; if your skin isn’t crawling then you’re not looking at the same image. Wolverine, rage filled and rarin’ for a fight, stands proudly atop a snowy peak in another piece by Mansilla. The painted look is fascinating when considered with the subject matter, usually drawn in digital or pencilled comics. This shot of Ghost Rider is so brutal that we’ve almost forgotten that Nicholas Cage butchered the character in the live adaptations. There’s a reason Mark Molnar is in the Masters Series here on Art Lords. 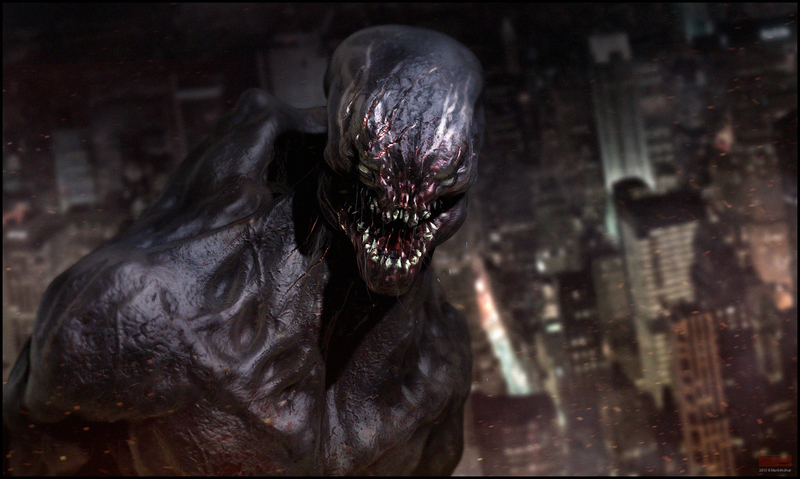 Venom is a scary dude, this character concept is darker, gorier, horrific and awesome. Got a great piece of comic art you want featured? Let us know!